The advancement of technology has unprecedentedly resulted in revolutionizing the way teaching, learning, and assessment is conceptualized, designed, and implemented in many higher education institutions in the world. Blended Learning (BL), the deliberate synthesis of online and face-to-face teaching and learning is a hybrid teaching methodology that has been integrated into the curricular by many higher education institutions to enhance the quality of teaching, learning and assessment. 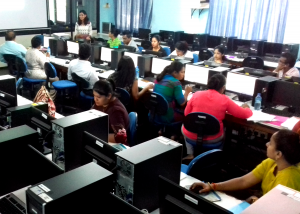 Sri Palee Campus, University of Colombo also initiated the integration of blended learning practice into its curriculum with the generous support extended by the Shenzhen Municipal Government within the UNESCO-Shenzhen Funds-In-Trust Framework. 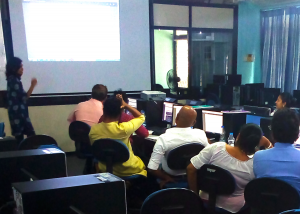 As the part of professional development, Sri Palee Campus, conducted four full day workshops on blended learning on the 04th of May, 1st of August, 2nd of August, and 31st of October, 2018 at the Department of Computer Studies, Sri Palee Campus, to train the academic and academic support members on how to familiarize with the Blended Learning, design BL syllabi and interactive BL activities, use of BL tools and LMS, implement BL activities, and how to plan research designs on BL. A majority of academic and academic support staff members immensely benefited from these workshops. In addition, the analysis of the feedback collected from the participated members shows their complete satisfaction with the series of workshops conducted and the necessity of continuous professional development in this regard. The resource person of the workshops had been Dr. Enosha Hettiarachchi, a Senior Lecturer in the UCSC and an expert in the field. Dr. K.V. 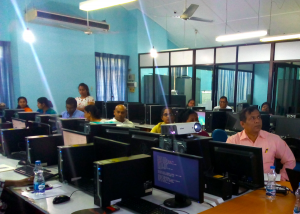 Dhanapala, the Coordinator of the BL Project at Sri Palee Campus, organized these workshops under the direction of the Quality Assurance Cell of Sri Palee Campus and with the support of Department of Computer Studies. 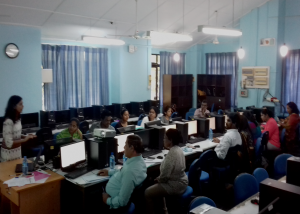 The 1st ‘Train-the-Trainer Workshop’ of the UNESCO Blended Learning Project titled: “Introduction to Blended Learning and Blended Learning Tools” was held on 4th of May 2018 at Sri Palee Campus, University of Colombo. 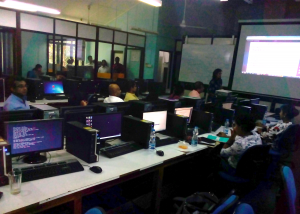 The 2nd ‘Train-the-Trainer Workshop’ of the UNESCO Blended Learning Project titled: “Designing a Blended Learning Course” was held on 1st of August 2018 at Sri Palee Campus, University of Colombo. 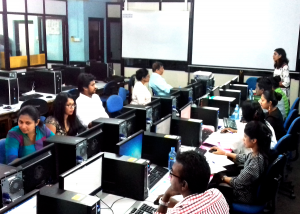 The 3rd ‘Train-the-Trainer Workshop’ of the UNESCO Blended Learning Project titled: “Rapid B-Learning and Assessment: Tools to develop B-Learning Resources quickly and easily” was held on 2nd of August 2018 at Sri Palee Campus, University of Colombo. The 4th ‘Train-the-Trainer Workshop’ of the UNESCO Blended Learning Project titled: “Evaluating Designed Blended Learning Activities and Planning Research Designs on Blended Learning” was held on 31st of October 2018 at Sri Palee Campus, University of Colombo.